We design and build PLC (programmable logic controller) Control Systems for Marine technical, Reverse Osmosis equipment and water management systems.. These controls are used in all the Balcen standard and custom SWRO ( Seawater Reverse Osmosis ) systems. Using industrial grade controllers and sensors for pressure, flow, temperature, water level, water quality, etc. 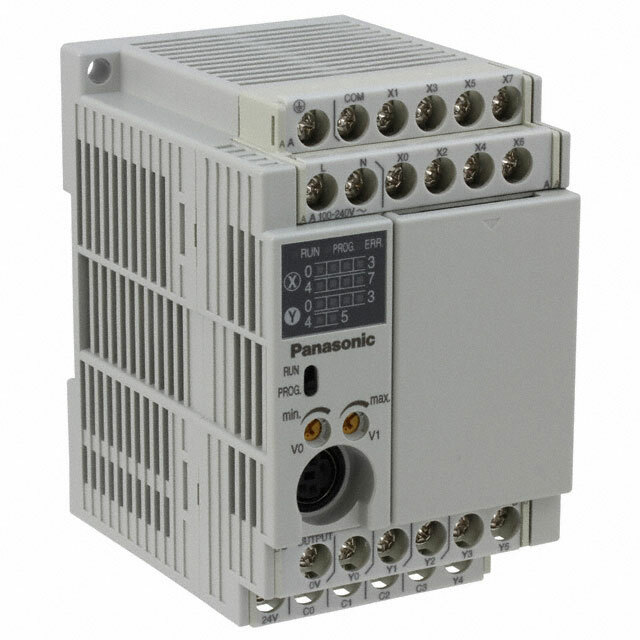 produces control systems that are durable, reliable and adaptable to suit the application. Standard R.O. Control System Features & Benefits. The standard feature set can be modified to suit your requirements. Controls are housed inside a waterproof NEMA4 enclosure for protection from the marine evironment. Optional second full-control panel easily installed at a remote location. Automatic fresh water flush after each use and every 7 days. Continuous fresh water quality monitoring. High and low-pressure monitoring with safety alarms. 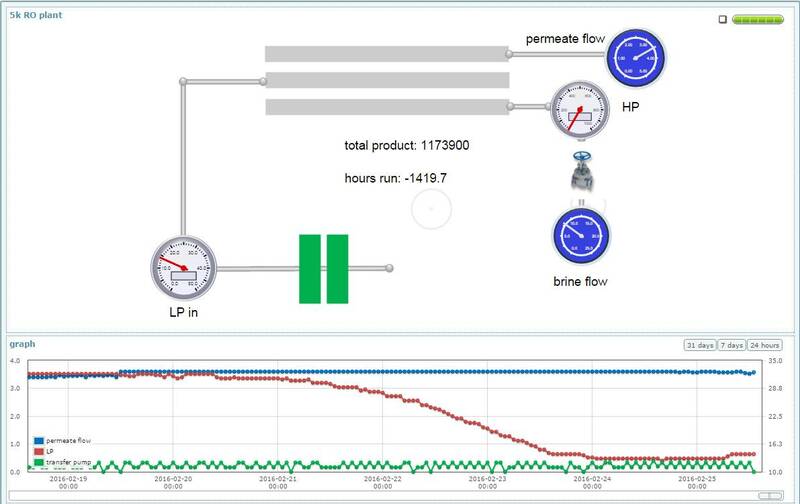 Fresh water flow rate monitoring protects membrane performance and optimizes service life. Error text messages suggest remedies. 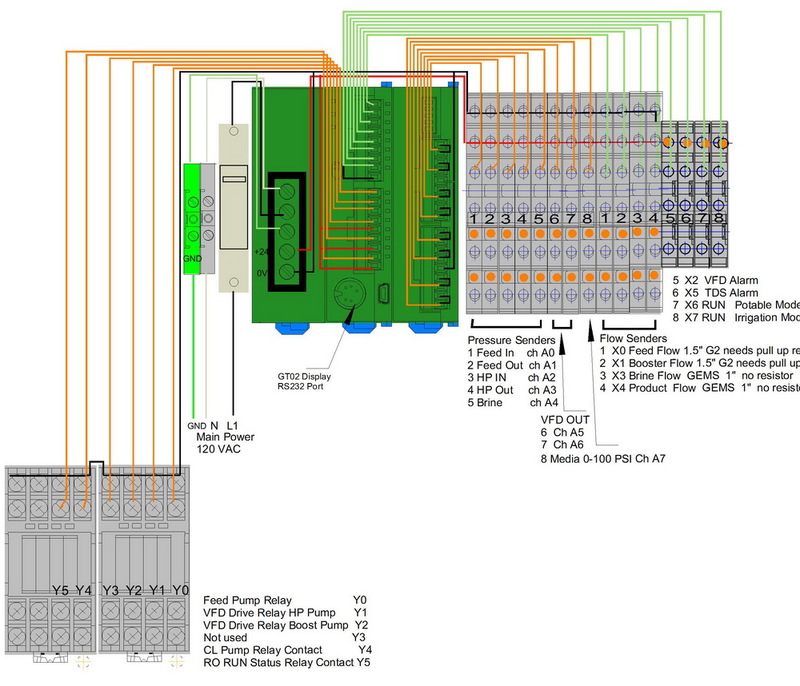 Wiring Diagram and Operator Instructions included in documentation. Access for monitoring and control on Internet via ethernet or a cellular GSM/GPRS network.